What can we see here? Well there’s a single pushbutton switch (a spring goes on that; don’t lose it). There’s a little microcontroller? Silly me, I forgot to write down the part number. I have a feeling it was a PIC. Next time I tear it apart, I’ll have to look. There’s a photocell marked CDS. 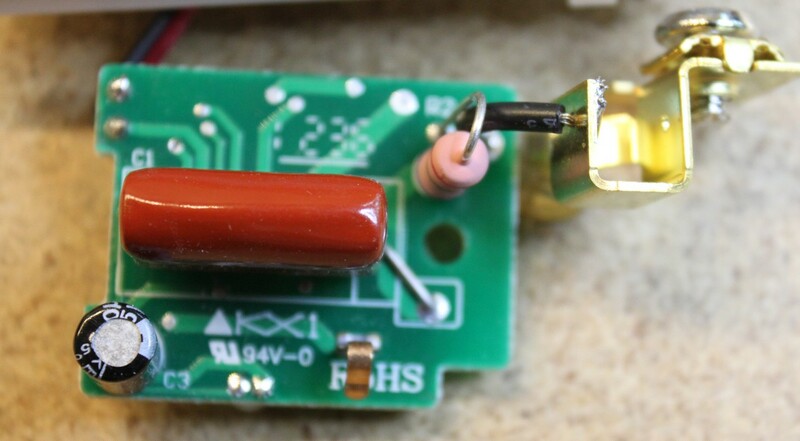 The resistor marked “364″ is 360k, and the one marked “753″ is 75K. So how to make this thing turn off during the day time like I want it to? 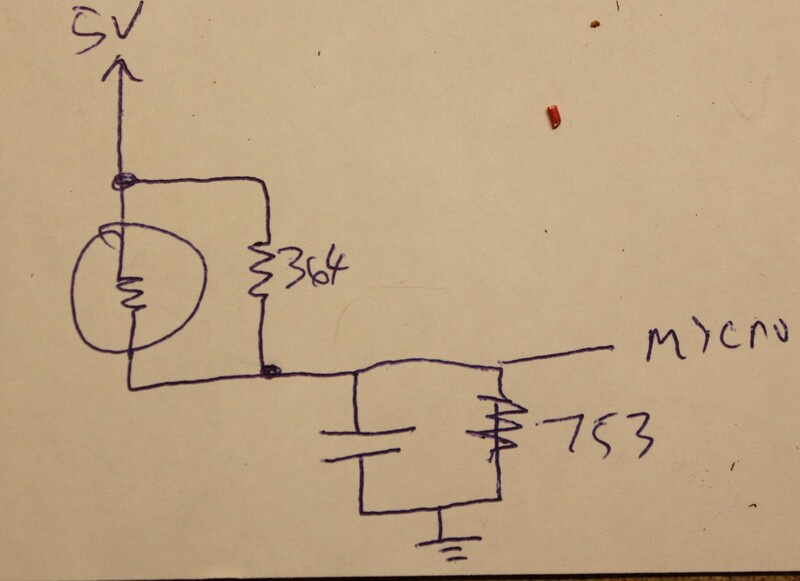 My first attempt was to fool with the 364 resistor, but that’s not yielding much success. I think the problem is that the CDS photocell probably has such a wide range that tinkering with the parallel resistance is going to have a big effect on when the photocell is dark and resistance is high, but only a minor effect when the photocell is light and resistance is low. 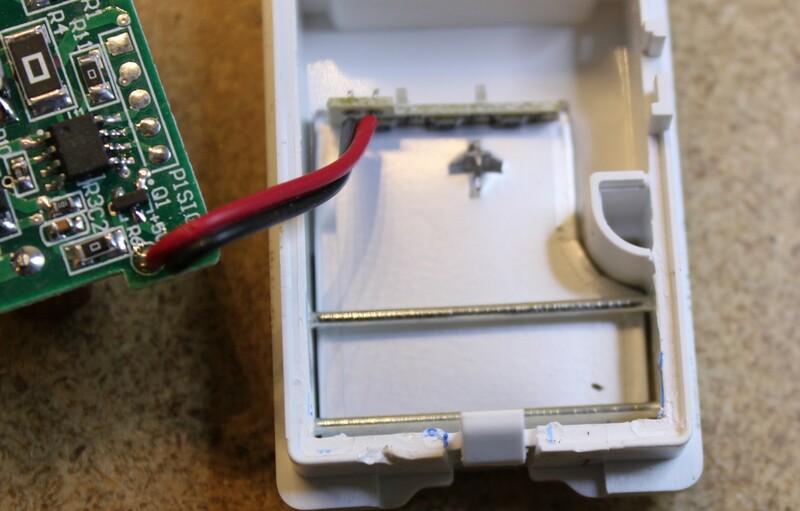 So if I attempt to put a lower resistor in parallel, I’ll screw the gizmo up so that it will turn off during the day but won’t turn on during the night. Maybe I should tinker with the 753 resistor?